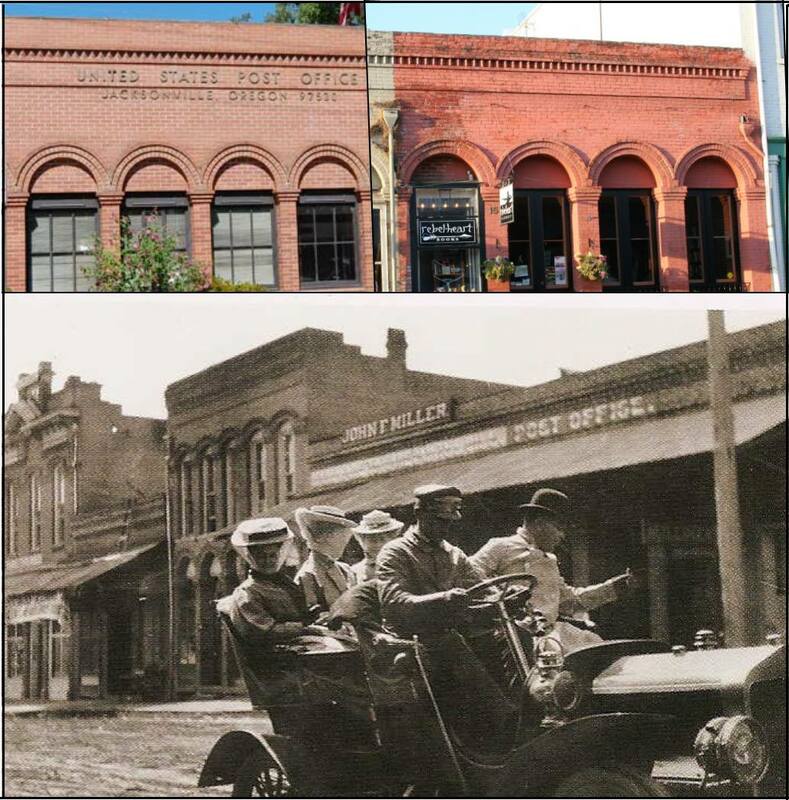 Post Office #7 | Historic Jacksonville, Inc.
It’s 1898 and the Jacksonville Post Office has moved again! John F. Miller, Jr. is the new Postmaster, and he’s moved the post office one building—from Pape’s saloon in the Masonic building into Schumpf’s barber shop next to Miller’s hardware store. By 1907, the barber shop has been replaced by a millinery shop. Currently this building at 157 E. California Street is occupied by Rebel Heart Books. Hair, hats, or books—the post office is in a very “heady” location!